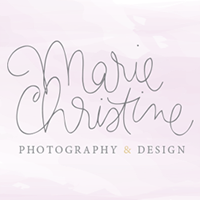 Hello and Welcome to Marie Christine Photography & Design! I love having the opportunity to capture your cherished moments. Whether it is a special occasion or just a normal day. I feel so honored to be able to share my passion for photography and to be able to create memories for you that will last for a lifetime. Thank you for choosing Marie Christine Photography & Design. Marie Christine Photography & Design, is located in Stony Brook, New York. All in studio photography sessions are taken at the home based studio.